What a great confidence builder for these kids! Oh how I wish I had a program like this! Each and every painting had its own amazing personal touch and the kids wouldn't leave the room when it was over. 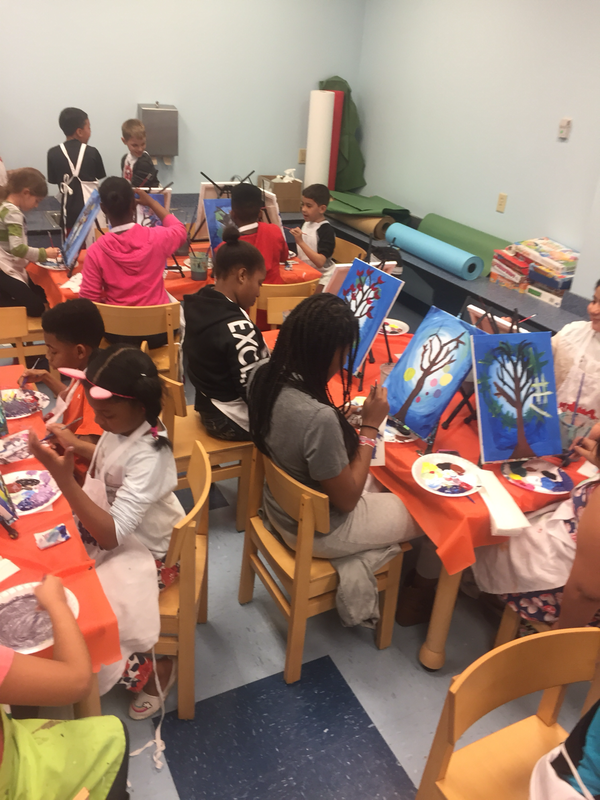 When we do these types of programs, we give kids a chance to touch a blank canvas and be successful just for being there. It didn't matter whatsoever what their painting looked like. It was the experience that shaped the afternoon. The smiles said it all. Libraries open doors. Libraries build confidence and shape the future of children through experience. Lets not forget that every week is library week. 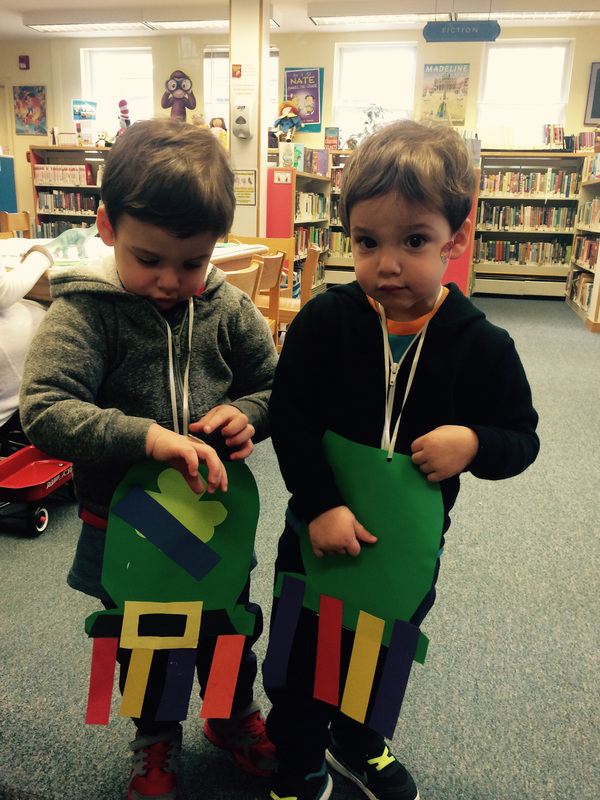 Save our libraries and shape the future! I'm back! Moving isn't always easy, and trust me, I know. I've done quite a bit of it in my professional life. I am a "change is good" person and I know my moves have always been well thought out and good for my career. And now I've gone and done it again. That said... I miss the routine... the comfort....the familiar faces and the families. I've been nervous and anxious and all the things that happen when you uproot yourself and your work. Nerve-wracking is an understatement. I know there's always a learning curve and time for settling in. My blogging suffered the biggest hit as I transition. As I start to feel a little more grounded, I'm getting very excited for some of the exciting things that will be happening in our children's room this summer. The "Build A Better World" theme isn't lost on me as I begin to build a new department with a new staff and lots of new ideas. I'll be posting about this, I promise. I'm also so excited to have a space, a facility, that is spectacular! It is an amazing library work-space and such an inviting place for families! It's excited to be back and I can't wait to share what's coming for this Bookgirl. The holidays are a time for sharing stories; from the story of Santa and Rudolph and the elves, to the stories of our lives we share over holiday dinner. It's story season!! 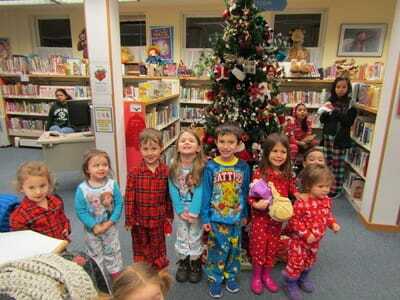 We brought together our tweens and our littlest library friends for a night we called Holiday Storybuddies. 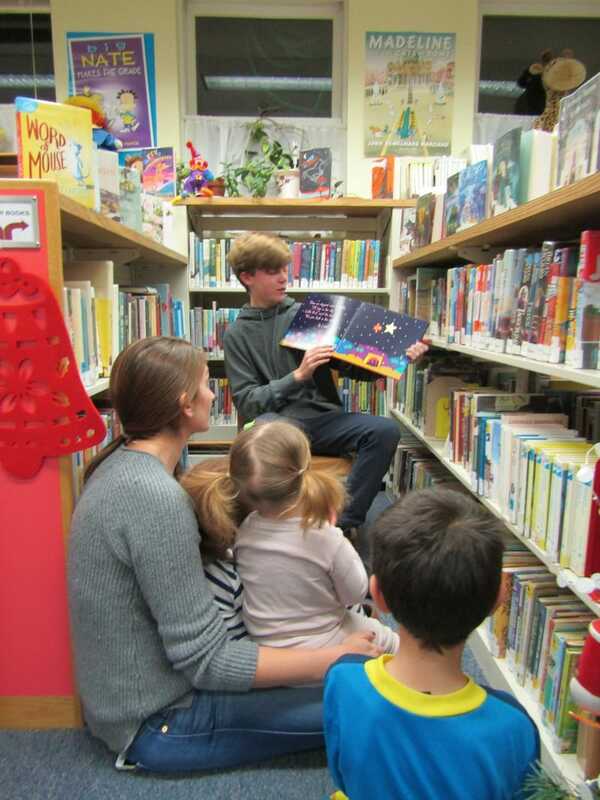 Our tweens broke off into corners of the library and they each had a toddler or two to read together with. Parents looked on with delight, and OF COURSE, pajamas made everyone cozy and comfy! Tweens/teens earned their community service hours as part of our Community Club and the little ones got some undivided, one on one attention. After the stories, everyone got to make a "snowglobe" winter craft together and head home for the evening. This program brought together different age groups and also allowed some of our working parents to get in library time with their kids. Smiles all around showed that it was a huge success! I am SO proud of the Community Club I started last year. We had our first meeting for the new year last Tuesday where we kicked off that "feel good" vibe by making cards for hospitalized kids! I found some pretty simple examples of Muppet-inspired cards on Pinterest (even I can do it). I couldn't begin to imagine the creative juices that would flow when this group of teens came together. We had all sorts of adorable muppet-monster cards being made with lots of laughter and friendly bonding. Most importantly, these kids really gave thought to the messages they were writing on the inside, knowing how important their cards would be. It's nice to let other kids know they are being thought of at their darkest of times. A great start to a great year! What more can I say....? Read some Llama Llama books today. Faded labels. It sounds like a bad name for an 80's band. One of the things that I love about librarianship is going back to the shelves and finding a project to organize, shift, move, weed or alphabetize. It's the basics of a library and for me moving through these housekeeping projects can be very therapeutic. Lucky for me, being a substitute librarian at my moonlighting job, I get to focus on those ongoing maintenance projects from time to time. They can be highly satisfying. The last few months I've tackled the task of faded labels. One of our fiction shelves gets slammed with direct sunlight, (beautiful for leisure reading but...) leaving most of the spine labels virtually illegible. Little by little as the night shifts came and went, I carted the books from shelf to label-maker and back to shelf. Old labels were removed and new clear, bold labels took their spots. The process seemed almost insurmountable, in the busy children's room. But I did it and I am down to one shelf left of books which I hope to complete in the next few nights. Peeking down the stacks of newly labeled books, edged and bright white, brings me a simple sense of joy. The repetition of peeling and sticking and alphabetizing and reshelving is good for the soul. Add to that, the words of thanks I received from our Pages, it's really the simplest "feel good". Perhaps I'll clean out my closets at home this weekend.... or not. On your mark. Get set..... SUMMER! We are busy with class visits, decorating, raffle basket-making, and all around summer reading prep, here at my library. One of the very best parts of summer, for me, is our very popular and wonderful summer volunteers. Like our Community Club teens, this eager group of middle and high schoolers are completely excited to be part of our library. They finally have some down time and they choose to spend it here. 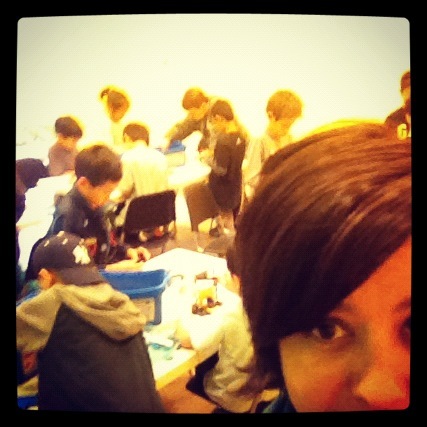 Unlike other libraries I know, we utilize our teens for a variety of volunteer opportunities. They help prepare our crafts for the fall. They assist our young patrons with their summer reading logs and now with the summer reading website. They march in our parades. They perform a play for toddlers and also read to them in weekly storytimes. All in all I love watching our teens make a commitment and follow through with it. Despite the reputation of teens, they really show initiative here and always end up with a fantastic summer of fun, growth and a sense of responsibility. They learn how to speak to both children and adults as well as how to work together with their fellow volunteers. Aside from the hours of service credit they get, these kids really earn much more. Next week begins sign up and I can't wait to see all their eager faces, happy to help and ready for summer 2016! Our amazing teen Community Club had its monthly meeting last night. We made fashionable t-shirt scarves to donate to Bethany House, a local women's shelter. I would like to say that I knew it was International Women's Day the night that I decided to do this. But, I didn't. What I did know was that our Community Club teens would jump at the chance to do this. You see, this is our first year. It is a small but dedicated teens that meet on the first Tuesday evening of every month to do good for others (and earn service credit). 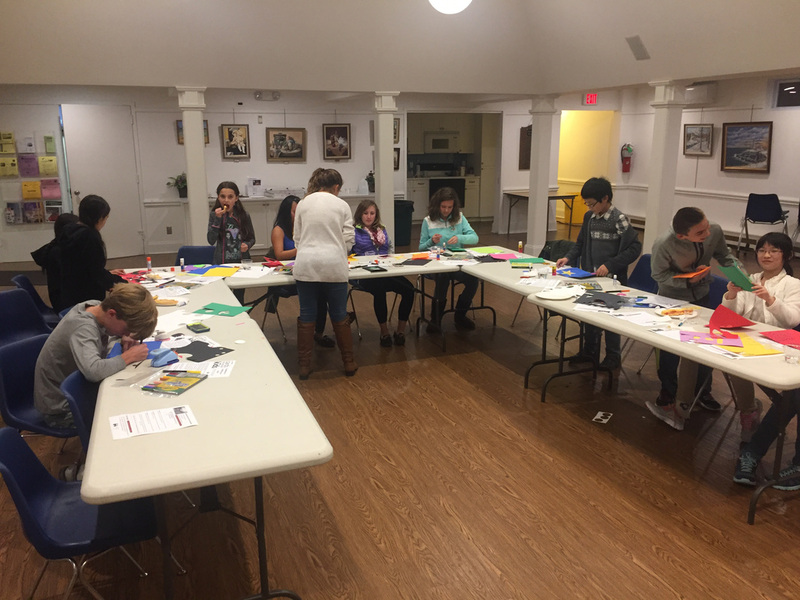 Starting in October, this generous group has made beautiful Cards for Hospitalized Kids. We've written letters to our troops and Veteran's through Operation Gratitude, and we held a bake sale to support Best Friends Animal Society. They've generously given of their time and have been most enthusiastic when we got to make something to give. They are a crafty and creative bunch! I am super excited to say that the scarves are a simple, DIY t-shirt craft that doesn't involve any sewing (perfect for me!). I was very impressed with the creative work our group did. It's not everyday you get a group of teens with such a gift for giving. I cannot wait to deliver a little fun, fashion-flair to women in our community. Stay tuned for pictures of the creativity and the finished product. I am super excited to have connected with Ms. Stephanie, a children's librarian working in the Pheonix, library. Her vision of expanding literacy beyond the walls of the library is creative, effective and inspiring. Read what she has to say as my guest-blogger and be sure to scroll down for a sample of her "one-sheet" story times! Children's librarian and avid reader, Stephanie enjoys good bookin' children's picture books! While I am new to the role as a children’s librarian, I’ve been around the block when it comes to marketing and customer service. I’ve worn those hats and many more after co-owning a children’s clothing boutique and learned through experience what’s effective and what’s not. 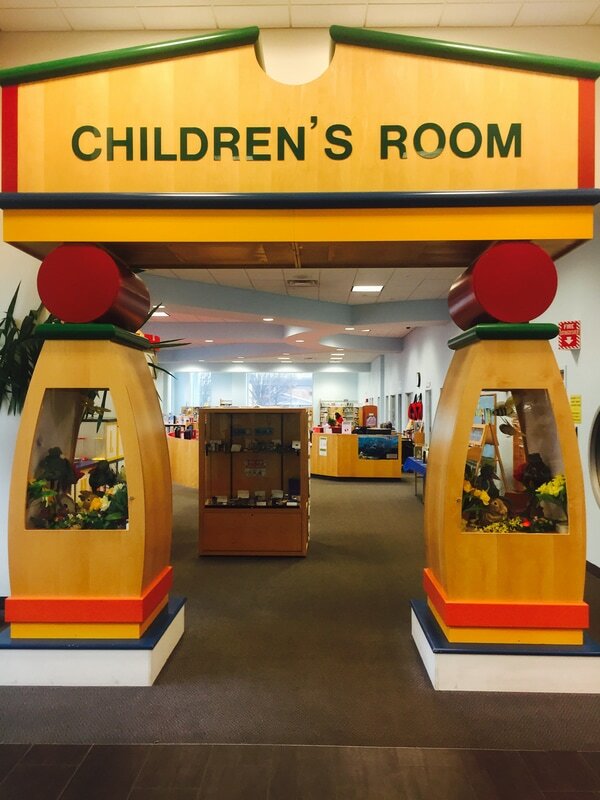 When I decided jump the track and enter the world of public libraries to promote literacy to children, I found that my sales and marketing skills were just as handy here as they were promoting high end onesies and wooden toys. To be a public librarian means to serve the public, understand their needs and deliver. We also need to reach the nonuser. 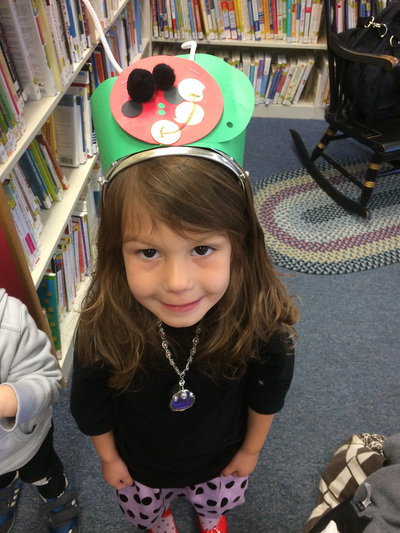 More than ever before, librarians must prepare to come to the table wearing a few more hats. We can all understand the value and importance of great customer service in a library setting- to engage our patrons, make them feel as a guest, help meet their needs, thank them for coming to our programs and using our services, treating each individual with respect and to be empathetic. To always serve is my motto and it applies to all areas of my life. Whether or not we are on the same page, we can all understand that in order to have successful programs, we need people to attend them and hopefully, we want to provide consistent, relevant and quality programming every time. I love presenting story times. I really, really love it! I love interacting with little ones and connecting with parents and caregivers. During my work as an Early Literacy Outreach Specialist for the _Phoenix Public Library, I would spend a lot of time conducting parent workshops educating them and raising awareness on the importance of early literacy. I also conducted many story times packed with songs, books, and information like parenting tips, upcoming events and other resources offered at the library. I’d spend a significant amount of time preparing and pulling books from shelves to share with my attendees. I had fun doing it! 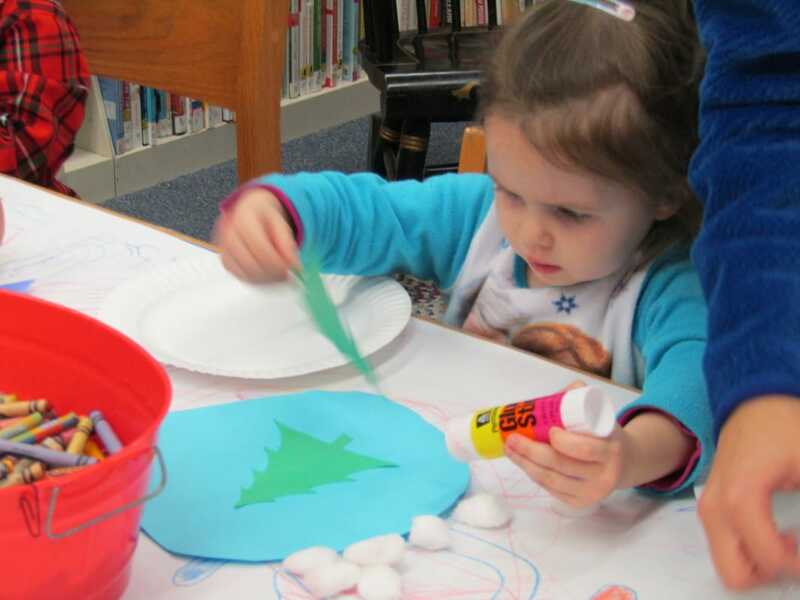 But at the end of each story time or workshop, I wondered how much parents and caregivers were actually taking away besides a fun-filled 30 minutes and a craft. I’d also feel deflated when attendees would breeze past the carefully selected books that fit the theme of the day. Hey! That took some time! Are you not in the least bit interested in taking a book home and revisiting today’s theme with your child? 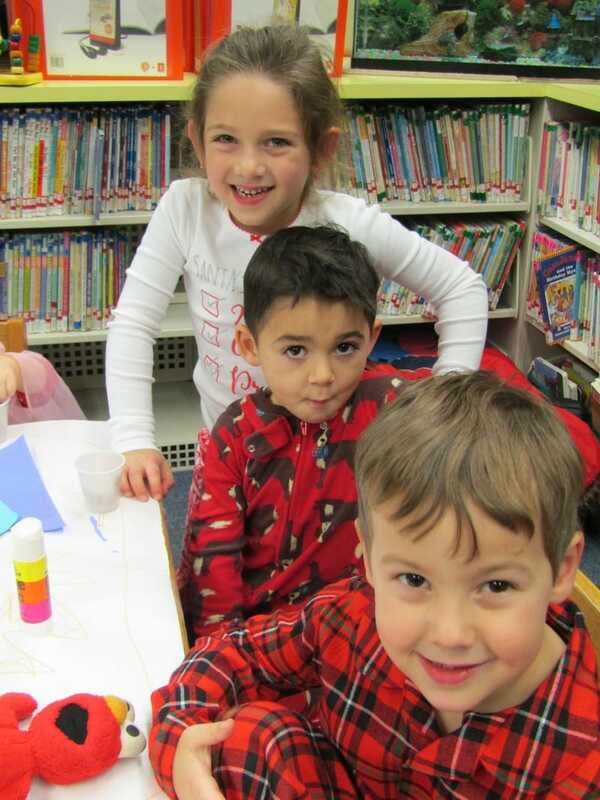 Children love repetition and they love story time! Hey! Come back! Please!? It got me thinking, what can I do differently? What do I want to accomplish with this program? What outcomes are important here? I knew I wanted my patrons to walk away feeling inspired, wanting to come to the next story time, not only for the social aspect, but to learn more and feel like they (the parent) are learning something and that story time isn’t just for their children. It’s a parent program as much as anything. So how to begin? I started by looking at my neglected book display and thought, how about a printed bibliography of suggested titles to check out? From there, it all came tumbling forth: If I have a printed sheet, I can include the Parent Tips of the Week…ooh, and the Letter of the Week…oh my goodness! I can advertise for the upcoming events! And gee, (why didn’t I think of this earlier?) the songs we sang and the books we read!? I felt like I’d discovered the wheel. Okay, not a revolutionary discovery, but I discovered the power of the “one-sheet”. So, what is a one-sheet? It’s a single document (a poster or a flyer) carefully designed to provide a powerful punch of information you’d like to convey to your targeted viewer. It is visually pleasing and its goal is spark interest what is being advertised. In my case, I wanted to create something that had all the information in one tidy page and also conveyed the message “Story Time on the Go” or DIY Story Time. Hey Parents! Now you can have the resources at your fingertips to create your own story time at home! Not only that, here are some helpful early literacy and parenting tips to know! And look! There are so many fantastic upcoming events you will know about on this one-sheet! Designing a one-sheet takes some time, thought and your marketing/graphic design hat (on top of your programming hat and whatever other many hats you’re wearing that day). It can be simple, but it has to be something that parents and caregivers will want to take home and use. First, ask yourself, what is the message I want to get across? 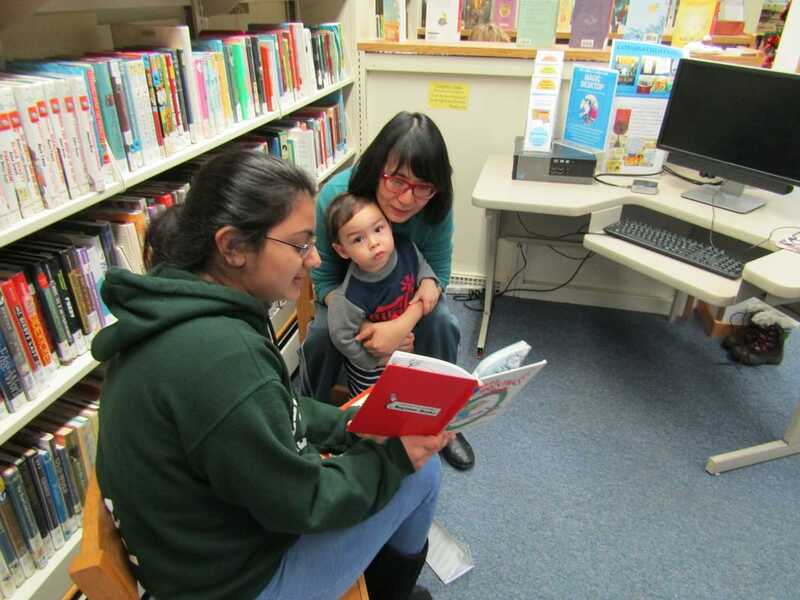 How can I best serve the parents and caregivers that attend my story time with their children? What resources and information might benefit them that they might not think to ask about? 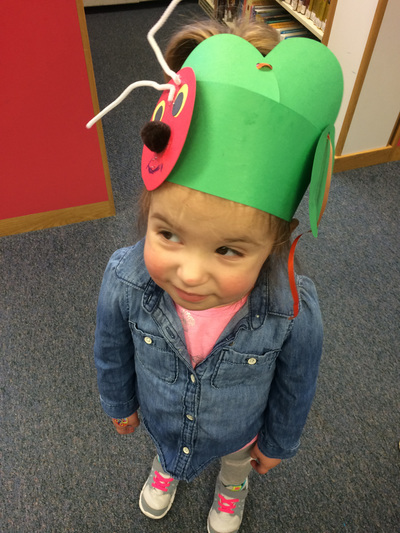 How can I package early literacy and parenting tips in a fun and visually exciting way? For me, upcoming events, book suggestions and the parenting tips are the most important items on my one-sheet because these are the things that educate and keep them coming back to the library. Another hat to consider is the sales hat. Patrons are our customers (their tax dollars pay our salaries and keep our doors open). Their “business” with us matters. We work hard to offer relevant programming, services and resources they will use, value and talk about with others. Getting the word out requires marketing and selling them on why they should use the library. I apply this notion to the one-sheet in story time. Just creating a great document isn’t enough. I’ve taken to handing them out at the beginning of story time as well as displaying a color copy in a stand for reference. Today’s One Sheet included 4 illustrations of sign language, so I wanted to be sure the parents had something to refer to when I covered it during class. At the beginning of story time, I introduce it, sometimes as the parents activity sheet or their “homework” or I’ll say, “I’ve created something special for you that includes the songs we sang, the books we read, the fun, upcoming events we have coming and some tips for building those early literacy skills at home with your child. It’s a portable Story Time for you! Please use the tips and suggestions- they can help prepare your child to love reading and to be ready to read by kindergarten!” It’s good for you to get behind the one-sheet - to point out to them its value or else they might not see it as anything but another piece of paper. Whether or not the one-sheet is something you might want to try, consider what you want your parents and caregivers to take away from your program. Ask yourself the questions I asked about the important outcomes of your program and then work towards reaching (and measuring) those outcomes. Story time is so much more than stories and it’s not just for the children attending them. Parents are their child’s first and best teacher. Let’s be librarians who seize a great opportunity to connect them with resources and information that will further help them. 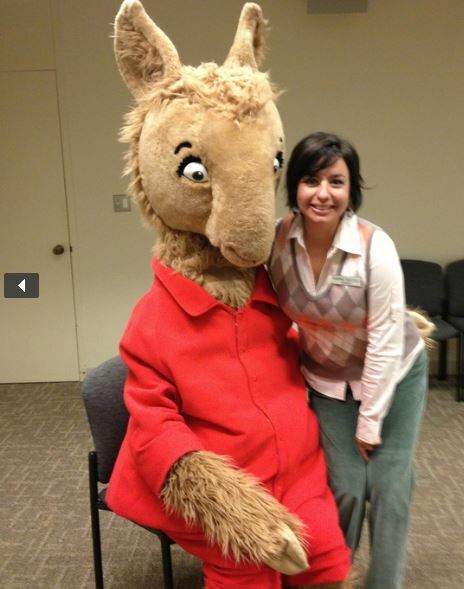 They are coming to our story time because they care about literacy. Let’s support that as much as we can. Share book reviews and ratings with Nadine, and even join a book club on Goodreads.